IMX provides companies and private customers with a full range of delivery services worldwide, all-inclusive from dispatch to destination. Since 1997, IMX has been a delivery expert for private customers all over the world. 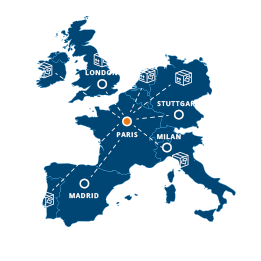 IMX is the only private European operator to have agreements with over 200 postal services worldwide and 45 selected partners. This means we have access to the most effective local network to get your mail to its final destination. Since 1997, IMX has developed a comprehensive knowledge of delivery solutions around the world: a solid expertise recognized by the reference organizations, which makes IMX your one-stop shop for international delivery. IMX has a worldwide network of partners : public and private posts, local carriers regularly put in competition to guarantee you the best tariffs and the best distribution networks in each country of destination.